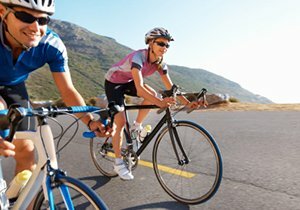 Why Does My Neck Hurt When Riding a Bike? 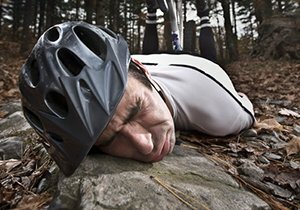 Does your neck hurt when riding a bike? You are just one of many. There are many reasons that could explain your neck pain, but more than likely, it’s related to one of these common causes. 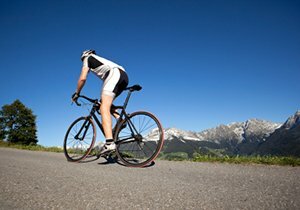 What Is Causing My Neck Pain When Riding a Bike? Luckily for you, we have a solution for each of these issues. 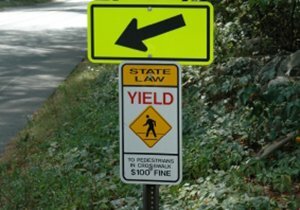 Look with your eyes – You, like many, many other cyclists, may be guilty of looking up by lifting your head. It seems innocent enough, but repeated lifting can make your neck muscles sore. What you should be doing is looking up with just your eyes. Make sure you’re wearing a helmet that fits properly so that it doesn’t impair your vision if your head is faced down and you want to look straight ahead. Work out the kinks – Many of us carry our stress in our necks and upper shoulders. 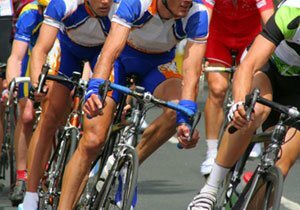 This tension can cause a dull pain, which will be intensified when you ride. You need to work out those knots. You could go get a professional massage, or you could get a tennis ball, place it on the wall, and roll your back and shoulders across it. Roll over both sides of your neck and shoulders, but not directly on the spine. 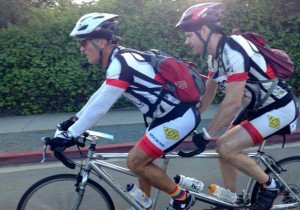 Get fitted – A common mistake made among even daily cyclists is to ride a bike that isn’t properly fitted for you. Take your bike to a local shop and ask them help you if you don’t know how to get your bike fitted to your needs. Do you even lift? – Your trap muscles are responsible for 90 percent of neck work, but there are other muscles that rarely get worked out. You may need to do some strengthening in those support muscles. A simple workout that could help is called the Goalpost Raise. Lay face down with your chest supported by a stability ball and your legs held straight out so you form a diagonal line. Let your arms hang straight down and then bend your elbows to make a 90-degree angle with your palms facing down. Lift your arms and squeeze your shoulders blades together. Make sure you keep your arms in the “goalpost” shape, and don’t lift your neck or head. A good 12 reps should do. ← What Are the Health Benefits of Riding a Bike?